New funding could save millions of people from blindness. The Fred Hollows Foundation will help drive the final global push to eliminate trachoma, the world’s leading infectious cause of blindness, thanks to a £20 million commitment from the UK government. The funding could protect the sight of millions of people by eliminating trachoma in 10 Commonwealth countries by 2020. 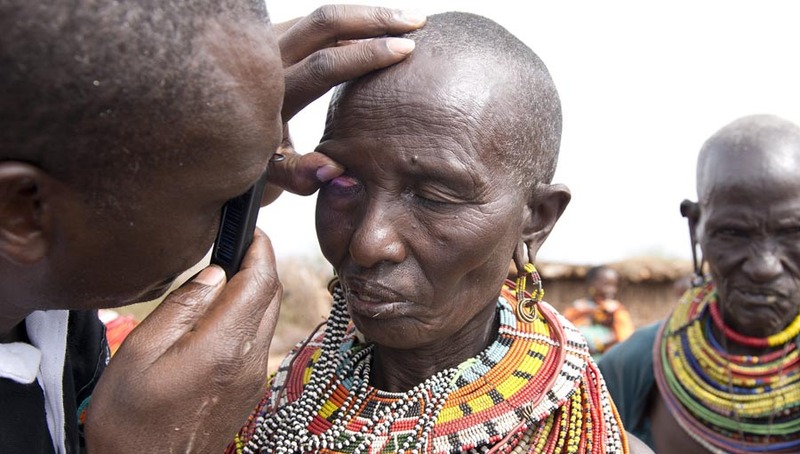 Trachoma affects more than 52 million people across 21 Commonwealth countries. The announcement comes ahead of the Commonwealth Heads of Government Meeting in London this week and will enable The Fred Hollows Foundation, Sightsavers and other members of the International Coalition for Trachoma Control to deliver the World Health Organization SAFE strategy on trachoma in these countries. The SAFE strategy addresses Surgery, Antibiotics, Facial cleanliness and Environmental improvements. The Fred Hollows Foundation will focus on Pakistan and the Pacific as Commonwealth funding efforts aim to provide almost 60,000 surgeries and preventative measures including antibiotics, education and improved access to water and sanitation. Sightsavers will coordinate the programs in Africa. “This funding from the UK government is desperately needed to help The Fred Hollows Foundation fight trachoma, an often forgotten but ruthless disease,” CEO of The Fred Hollows Foundation, Ian Wishart, said. Trachoma thrives in crowded living conditions where water is scarce and sanitation is poor. Like conjunctivitis, it is frequently passed from person to person, usually from mother to child. Repeated infections cause irreversible blindness as the eyelashes turn inwards and painfully scratch the eye. Sufferers often resort to using tweezers to pluck out their eyelashes to relieve the pain. Simple measures like face-washing and antibiotic treatment can prevent repeated infections, and eyelid surgery can prevent blindness. “Fred Hollows’ humanitarian work started in earnest when he discovered trachoma was rampant throughout Aboriginal and Torres Strait Islander communities right here in Australia,” Mr Wishart said. “The work of Fred and others through the National Trachoma and Eye Health Program paved the way for eliminating trachoma in Australia, and now we are almost there. The Fred Hollows Foundation and Sightsavers will deliver the programs in close collaboration with ministries of health, local communities and other members of the International Coalition for Trachoma Control. Help Pakistan, Papua New Guinea and Tanzania get nearer to elimination as millions receive sight-saving treatment.